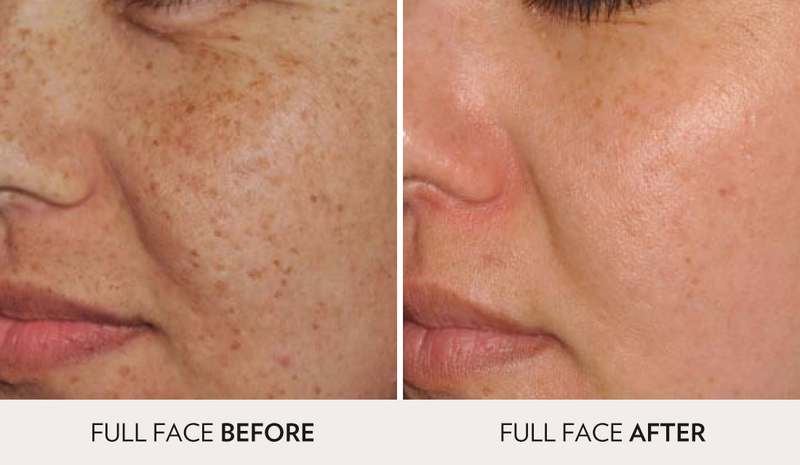 A series of Intense Pulsed Light (IPL/BBL) PhotoFacials at Spa Radiance Medical has been transformative for many of our patients. Removing everything from sunspots and hyperpigmentation, to blood vessels and redness, our expert nurses will ensure that your PhotoFacial leaves you with clearer skin with little to no downtime. Tip: Our nurses recommend a series of 6 treatments 1x a month to start. Use of a broad spectrum SPF 30 (or greater) sunblock is necessary for a minimum of 2 week before treatment. Proper use of sunscreen typically requires reapplication every two hours. No natural or artificial (spray tans, lotions, tanning beds, etc.) for a minimum of 2 week before treatment. We recommend Ultra-Diamond Dermabrasion and LED Facials 3-7 days before treatment to help exfoliate and prime the skin for enhanced results. If you have a history of cold sores/herpes, you may wish to start an anti-herpetic medication 48 hours before treatment. Avoid exfoliating agents like Retin-A, alpha or beta hydroxyl acids, hydroquinone, vitamin C, and exfoliating gloves/sponges for 24 hours before your treatment. Use of any aspirin, ibuprofen, and other anti-inflammatory or blood thinning mediations may increase the risk of bruising. Please consult your physician before discontinuing use of any medications before treatment. Your provider may recommend the use of a melanin suppressant; please adhere to recommended usage instructions before and after treatments. To boost results, LED light therapy is recommended immediately after treatment, and every other day for up to 4 weeks. Topical 2% hydrocortisone cream may be applied to decrease any itching or skin irritation. Continue to use a broad spectrum SPF 30 (or greater) sunblock for a minimum of 6 week after treatment to avoid sun induced brown discoloration of the skin. Proper use of sunscreen typically requires reapplication every two hours. For the first 2-3 days use a gentle milk cleanser, as well as a gentle moisturizer and/or growth factor. Do not use Retin-A, (or other retinoid containing products), abrasive or exfoliating sponges/scrubs, glycolic, beta, or alcohol containing solutions for 7-10 days. Once this time has passed, microdermabrasion can be used (7-10 days after your treatment) to help with exfoliation if needed. Makeup can be applied as long as the skin is not broken. If the skin is broken or blister appears, wash gently twice a day and apply an antibiotic ointment. The area(s) should be kept lubricated to prevent crusting or scabbing. Do not pick the area(s) or expose to sunlight. Call us immediately should this occur. 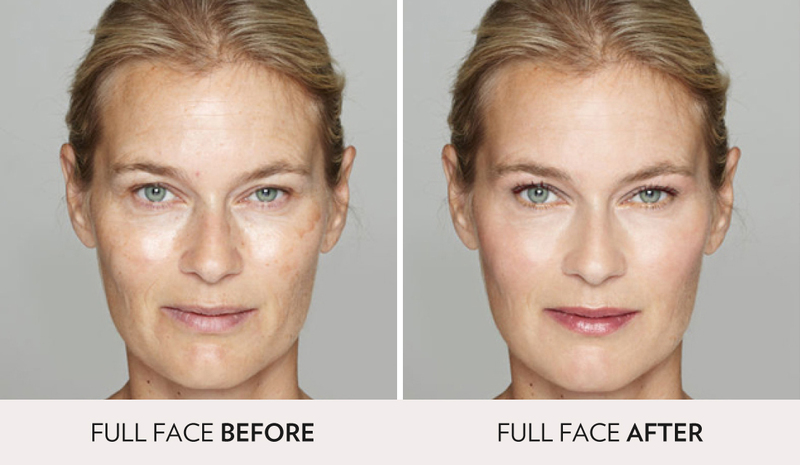 Photofacials typically take six to eight treatments to reach desired results. In some cases, more may be required. 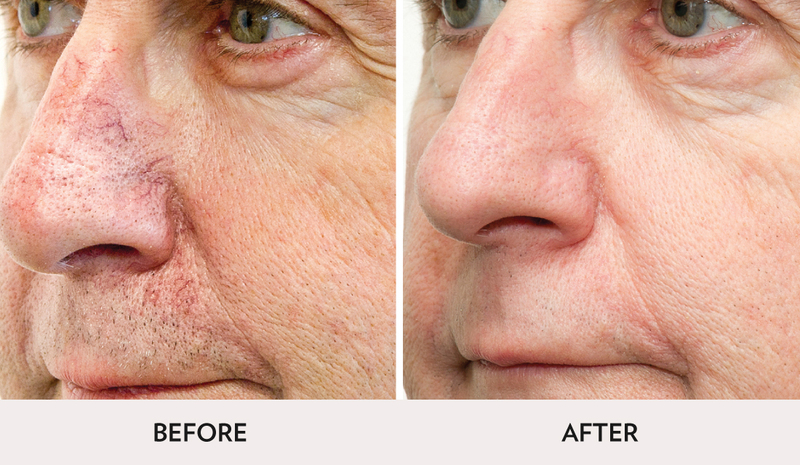 Spa Radiance Medical uses Sciton® Broad Band Light™ (BBL) Technology for IPL Photofacials. 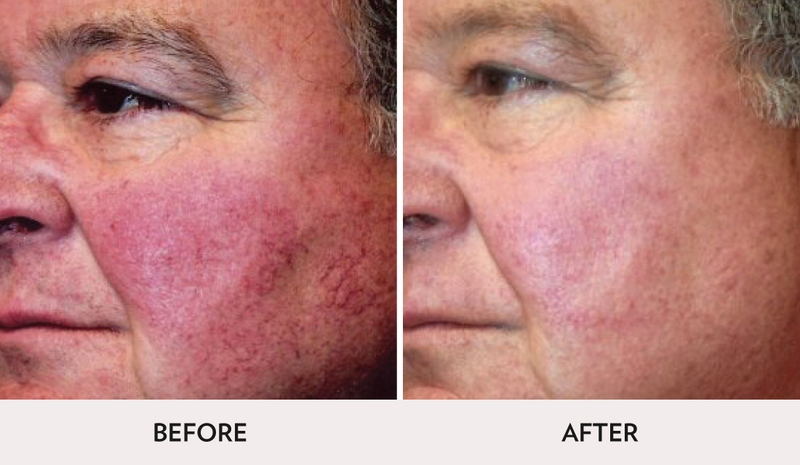 Intense Pulsed Light (IPL) Photofacial is an ideal treatment for reversing the effects of sun damage, brown spots, redness, acne scars, rosacea and broken capillaries. IPL technology uses short bursts of Broad Band Light (BBL) to penetrate layers of the skin and stimulate the production of collagen. These pulses of light work to neutralize over pigmented areas of the skin, and encourage collagen growth from within. The light concentrates on areas of pigmentation, damage, and visible blood vessels, causing the skin to shed and expose newer skin underneath. Broad Band Light keeps the treatment area consistently safe and cool with precise temperature control, preventing damage to nearby tissue. The result is skin that is smoother, plumper, and more even in tone. The IPL Photofacial shows the best results in a series, with each treatment being four to six weeks apart with little or no downtime. Treatment areas include face, neck, décolletage, forearms, hands, and any areas that have had repeated sun exposure. Broad Band Light is an FDA-cleared and approved technology that has broad applications for skin care and health. A recent Stanford University Department of Dermatology study has asserted that Sciton® Broad Band Light treatments can promote more youthful skin to develop at a molecular level. This indicates the groundbreaking nature of BBL treatments, and how the evidence is demonstrating its true reversal of skin damage. During your treatment, you may experience some slight discomfort with a warming sensation. We use a special cooling system that helps to lower the temperature of the skin at the treatment site before, during, and after laser exposure. The treatment is generally not painful and is well tolerated. A mild to moderate sunburned feeling may persist in the treated areas for the next 2-3 days. Cold compresses may be applied and you may take over the counter pain or anti-inflammatory medication. are taking any prescription medications or antibiotics, and/or take any over-the-counter medications, vitamins, or herbal supplements.